BEST TIME TO VISIT: Accessible only in the summer. COMMENTS: Amelia Earhart fell in love with the area and requested to have a cabin built for her! The cabin was not finished when she disappeared. 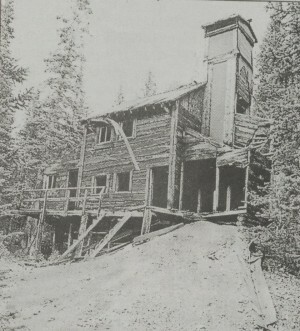 The old mining complex at Kirwin, near Meeteetse at the head of Wood River valley. The town once had a population of around 200, consisting mostly of Miners.